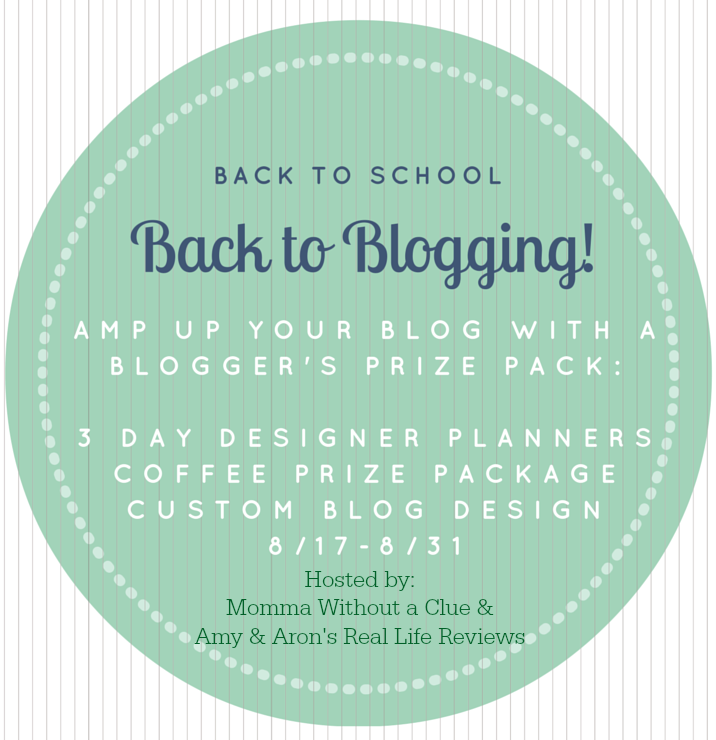 Welcome to the Back to Blogging Giveaway, where you can win a prize pack for bloggers, designed to help get you more organized and back into the swing of things. To win, just enter on the form below! All entries are optional, but the more entries you complete, the higher your chance of winning! Disclaimer: This giveaway is in no way associated with Facebook, Twitter, or any other social media platforms. Momma Without a Clue and Amy & Aron's Real Life Reviews received the aforementioned products in exchange for their honest reviews, but no additional compensation was received. This blog is not responsible for prize fulfillment. If you have any questions, please feel free to email cluelessmomma@gmail.com.